Blessings upon you Feast of Dedication! Yesterday we began (and renewed) our process of turning our attentions to searching our inward parts. Last night as I entered into my bedtime prayers I had little trouble finding my failings. I honestly mentioned a few of them in yesterdays post. I am a mother and a wife. I am blessed beyond belief, I truly am. And I KNOW it. But I grumble. I fear. Sometimes I see my selfishness and am utterly disgusted by it. I know this is NOT the spirit YHWH wants me to have. I know this is NOT the spirit HE gives His child. I probably have other failings, but this is certainly a make or break issue in my home right now. It steals my joy, it drains me, it adds tension to my home and then my family begins to respond in kind. I need freedom from this. In the past when I have struggled with what YHWH wants vs what my flesh wants I have learned that sometimes I have to walk it out before I FEEL it. “He answered and said, ‘I will not,’ but afterward he regretted it and went. “Then he came to the second and said likewise. And he answered and said, ‘I go, sir,’ but he did not go. “Which of the two did the will of his father?” They said to Him, “The first.” Jesus said to them, “Assuredly, I say to you that tax collectors and harlots enter the kingdom of God before you. As I step up to DO what is required of me, hopefully I soon find joy in the will of YHWH and maybe soon find deeper understandings of His call and will in my life. What surprised me most about this was that YHWH had ALREADY stepped in a few days ago and given me wisdom about WHY my heart has been so unsettled. As a friend said the other day, "We all have a story." Our stories do not define us. But there is no denying that they can haunt us, scar us, frighten us and, if they are not FULLY SUBMITTED TO YHWH, can destroy us. 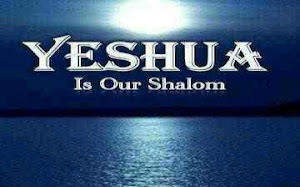 The awesome and amazing news is that YHWH is an Elohim WHO SAVES!! Our God is the God of salvation. In that past I basically lost faith in people. And every now and then, when great changes stand before me, great questions, or crossroads, my heart reverts to that. What astounds me as I type this out, is that YHWH understands! He knows, He sees. And He doesn't wait for my call, He was already booted up, and out the door, to save me. I do not know HOW MANY TIMES I was in some bad place, some bad situation and I cry out and He saves me, but I find that HIS moving started way before I called!! YHWH is an Elohim who saves. It can be so frightening addressing our past. It can be so frightening addressing our weaknesses, admitting them, and getting to their root. It can be frightening to DIG IT OUT. Note that this verse speaks of cleaning, and it speaks of iniquity. ALL PAIN, and ALL FEAR is rooted in iniquity. Some of it is OUR iniquity. Some of it is iniquity done against us. It NEEDS to be washed away. And only YHWH can do it. Psalm 51 has great detail of YHWH cleaning us and saving us. This includes our sins, and those done against us as well. Because BOTH leave wounds on our souls. Today, confess your sins to YHWH and lay any wounds before Him. Put it ALL before Him and LET HIM CLEAN IT OUT! Lay it at His feet, and in His timing you will SEE what He is doing for you. May YHWH richly bless you as you seek to serve Him with a CLEAN HEART!